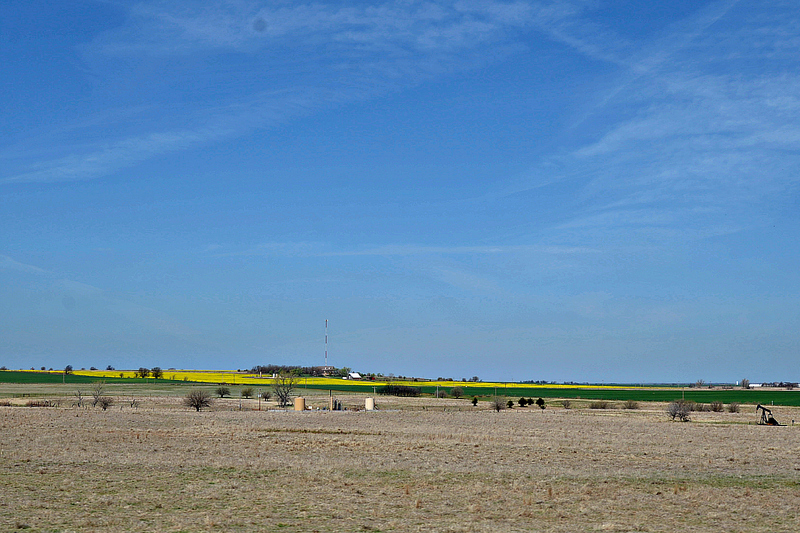 Oklahoma Canola Fields: A farm surrounded by canola fields on Oklahoma SH 74. Sometimes, my work takes me to rural towns across Oklahoma. I love being on the road, traveling down the old state highways, thinking about how people in wide-open spaces live. I breathe better in these parts, even if I white knuckle it across narrow, two-lane bridges. 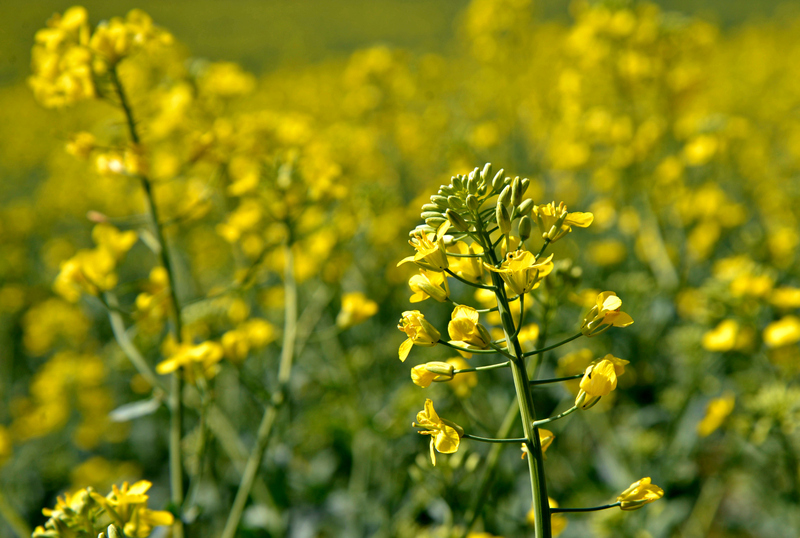 Yesterday, I passed farms surrounded by canola fields. A sea of leggy green stalks with full yellow blossoms bending gently in the wind. Bend me toward you, God. I give thanks for Your humble and gentle heart. 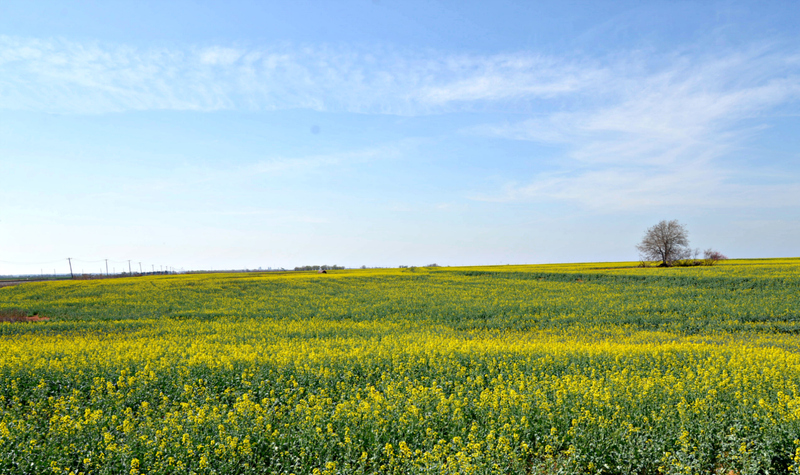 Canola Plots, Oklahoma | As I passed this section of State Highway 81, I wished I could see these plots of land from way on high. The handiwork of farmers cutting perfect swaths of land. The shamrock begins where the saffron ends. 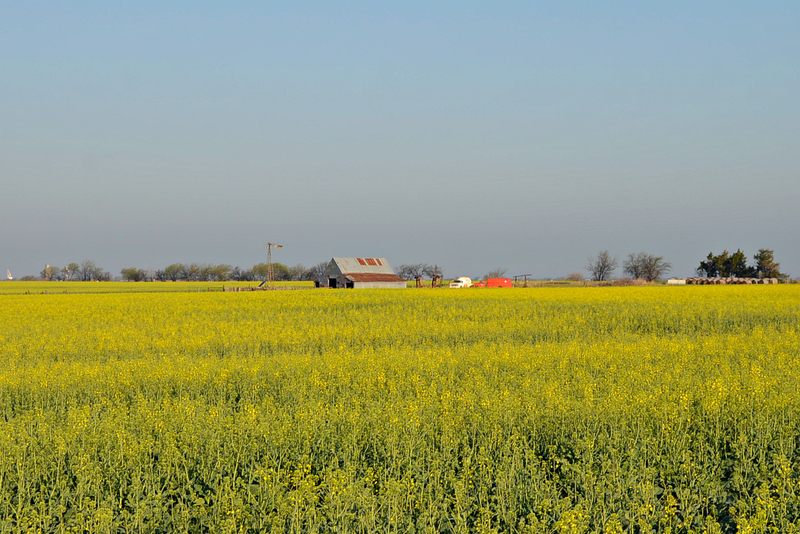 A beautiful canola field off Oklahoma SH 81. As morning dawns on Good Friday, I rest in the knowledge that God is our ally and we don’t need to seek another. He is the River that will make glad the streams of our lives. Hi, do you have the address of cross roads it’s off of on hw 81? Gorgeous photos! Would love to visit those fields myself! Looks so peaceful. They are so beautiful – and I’m seeing them again in bloom, now.